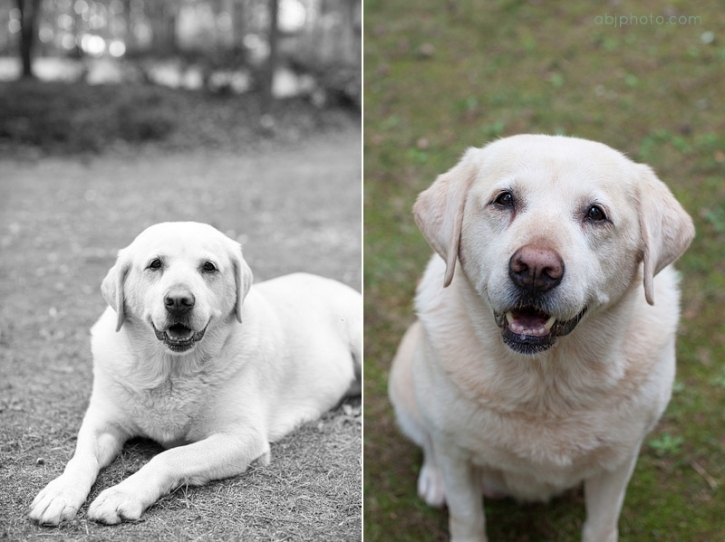 I recently had the pleasure of meeting the wonderful labs over at Lost Mountain Labradors! These labradors greeted me with lots of excitement, and I had a great afternoon capturing some new portraits and also getting in a little play time. 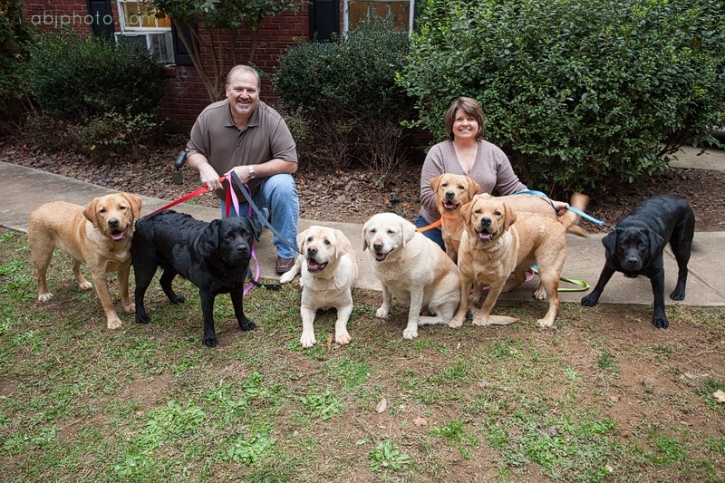 There are seven labs over at Lost Mountain Labradors, and they each have fun and unique personalities. I loved getting to know them all individually, and at the end of the session we had some time to just have fun, and it was a pleasure to get to see them all play so well together…one happy family! I was first introduced to Brandy, the 9 year old matriarch of the pack. She is a beautiful yellow labrador with the absolute kindest heart. She loved to be close and was very gentle! They still have one of Brandy’s puppies, and his name is Buck, a 6 year old yellow lab. Buck still looks like a puppy to me! He has the sweetest, scrunchy face, the kind you can just snuggle all day! Buck is a big boy, and he is very smart! After meeting Buck I was introduced to Sadie, the new mama at Lost mountain Labradors. Sadie is a beautiful 4 year old black lab with a champion bloodline. I cannot wait to introduce you to her beautiful babies next! 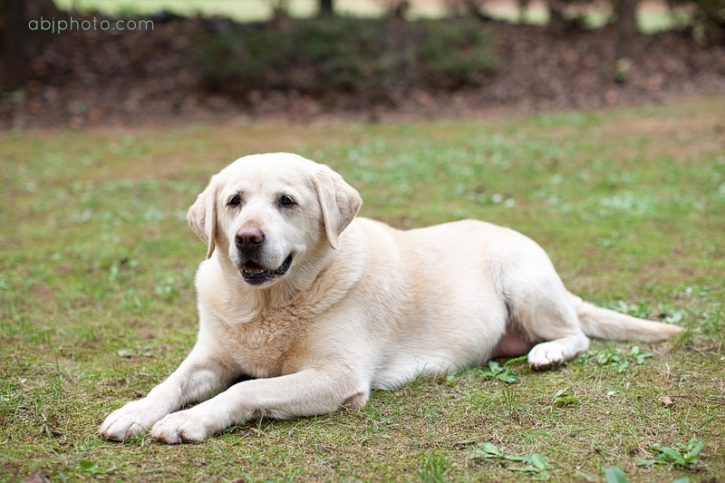 Meet Abby’s sister Emily, another beautiful yellow labrador! Next up is another beautiful black lab named Oynx! She is as cute as a button, and still very much a puppy at heart! Last but not least is Murphy! Another one of the youngest Lost Mountain Labradors, and one that stole my heart at the very end. Murphy is handsome and and has a great personality! From what I could tell in a short amount of time, quite the love-bug! After modeling it was time to let off some steam! All the dogs had a great time playing fetch and showing off for the camera a little. And, I could not resist the photo at the end with all the adorable Lost Mountain Labs saying goodnight under the garage door at the end of our shoot! Make sure to check out the Lost Mountain Labradors site if you are looking for a beautiful pure bred labrador! And, if you are interested in booking your dog portrait, or family portrait session with your dog be sure to contact me today! Thank you to Brandy, Buck, Sadie, Abby, Emily, Oynx, and Murphy for such an enjoyable fall afternoon! I hope we can meet again one day!